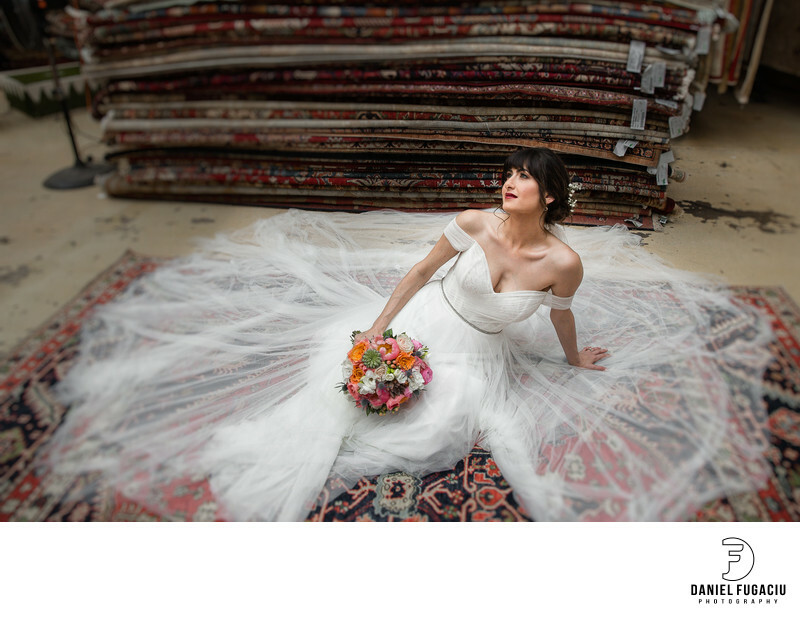 Bride holding bouquet posing on persian rug. Bride holding bouquet posing on persian rug. She is wearing a gorgeous wedding dress by Ferndales at her wedding venue, Material Culture in Philadelphia. Location: 4700 Wissahickon Avenue Suite 101 Philadelphia, PA 19144 .